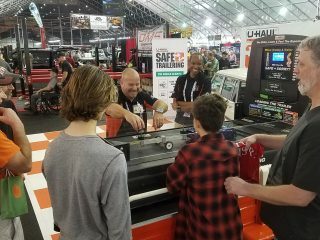 For the second year in row, U-Haul promoted its public service message of safe trailering at the Barrett-Jackson Collector Car Auction at WestWorld of Scottsdale. The annual event attracts hundreds of thousands of car enthusiasts. This year’s event saw 1,800 vehicles sold for more than $118 million. 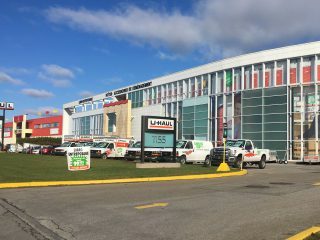 U-Haul and its engineering team were stationed in the vendor area from Jan. 12-20 to sell the most affordable item on property: a free lesson in safely towing a U-Haul trailer. The safe trailering exhibit let attendees interact with U-Haul Company’s dynamic visual aid – the Marco Garcia Trailering Demonstrator. 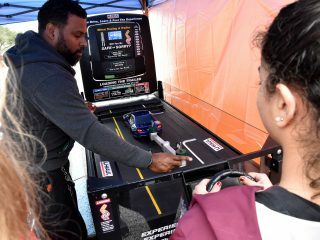 This teaching tool features a running treadmill with a one-tenth-scaled car; a weight-toting bar attached to the car, representing a trailer; and a wheel for attendees to steer the car. When loaded properly with 60 percent of the cargo weight toward the front of the trailer (in front of the axle), the wheel can be turned abruptly and the trailer remains positioned behind the car. But when loaded incorrectly with more weight in the back than the front, the MGTD shows that same abrupt turn will cause the trailer to fishtail, whipping dangerously and potentially creating a catastrophic towing scenario. 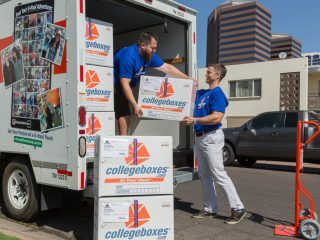 “Our goal is to educate people on the 60-40 rule and make our roads safer,” noted John Heiland, U-Haul community education specialist. 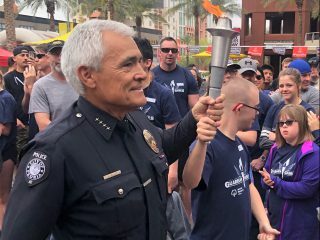 “The message was well received again this year. Most of the attendees at Barrett-Jackson have towed trailers or auto transports. So this group really appreciates our emphasis on safety and our efforts here. 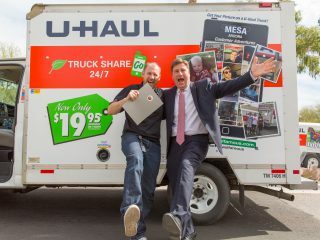 Learn about U-Haul trailers and what equipment your vehicle can tow at uhaul.com/trailers. 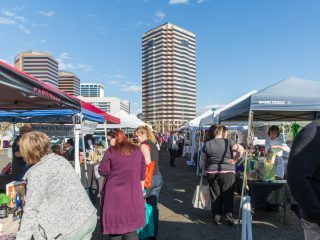 Do you have an event that offers an audience for the MGTD and the U-Haul Safe Trailering message? 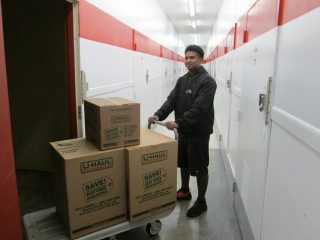 U-Haul furnishes demonstrators to government, education and industry groups as a public service. 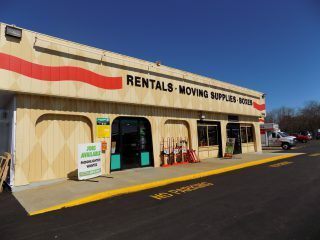 Email trailerdemonstrator@uhaul.com to schedule your event.